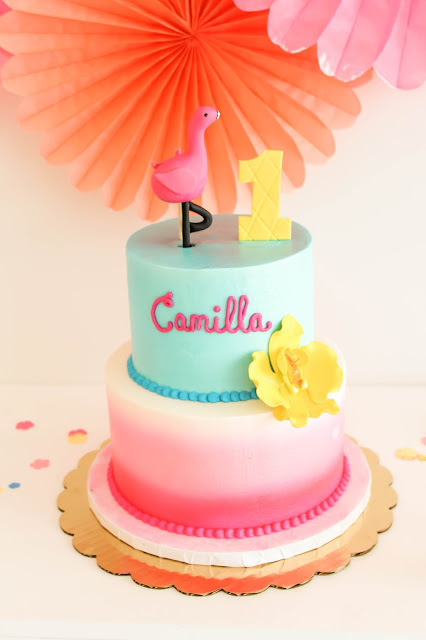 This past weekend, a good friend of mine, Marcee, hosted an adorable flamingo themed birthday party for her one year old at the shop. 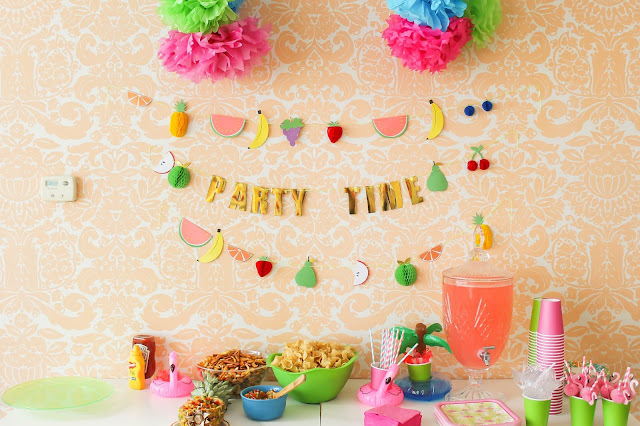 We met a couple times before the party and chatted on fun, bright ideas to make the party a tropical fiesta. She picked out some adorable flamingo party supplies and we went from there! 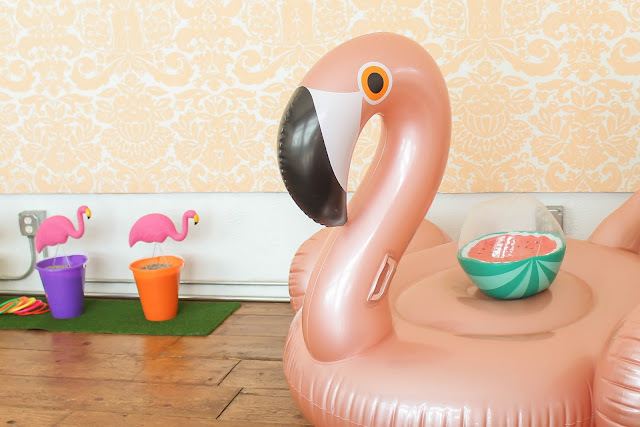 Decor for flamingo parties can go many directions, but I love the fun and bright tropical look! Marcee had fun with it and definitely played with colors. 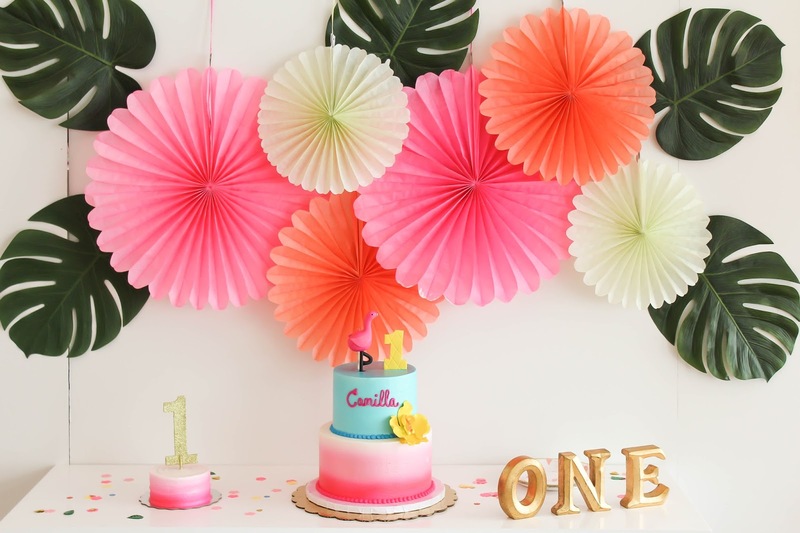 For the cake and food table backdrops, she pulled some of the fun banners and paper fans from our stock. I lent her some monstera leaves to mix in with the neon fans, to give it a more tropical feel. On the opposite side of the room, she hung adorable fruit banners above the colorful food table. 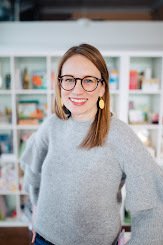 Marcee added some bright tissue paper pom poms above the banners. 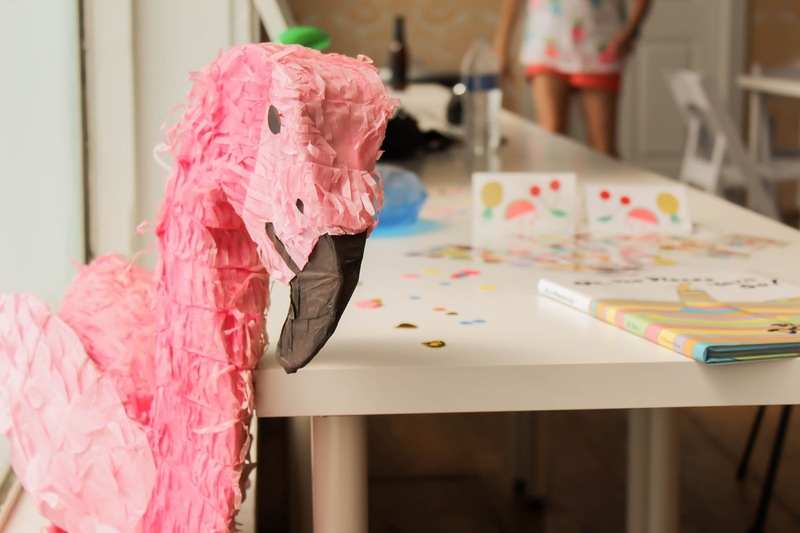 She also brought in a fun flamingo pinata - love a good pinata! One of my favorite ideas for her party, was the ring toss game. 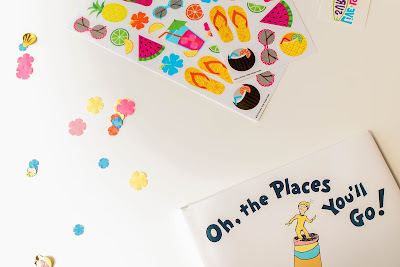 The idea was inspired by one of my favorite blogs, Sugar & Cloth. 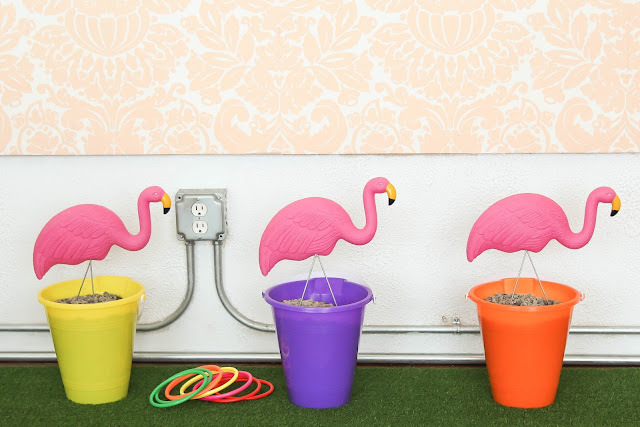 Marcee borrowed some of our yard flamingos and stuck them in colorful buckets of sand. The buckets were placed on a grass runner to give a fun yard game feel inside. 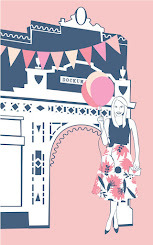 The cake situation was party perfect! Marcee ordered the cakes from Wichita Cake Creations. For the larger cake, they added a pink flamingo on top and a yellow orchid on the side. The ocean blue and ombre pinks matched well with the rest of her decor. The smash cake coordinated with the larger cake, but was much simpler. 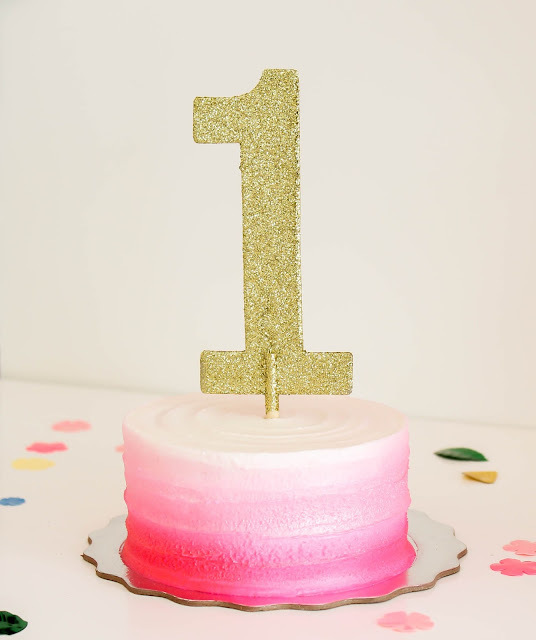 Marcee topped it off with a sparkly gold "1". 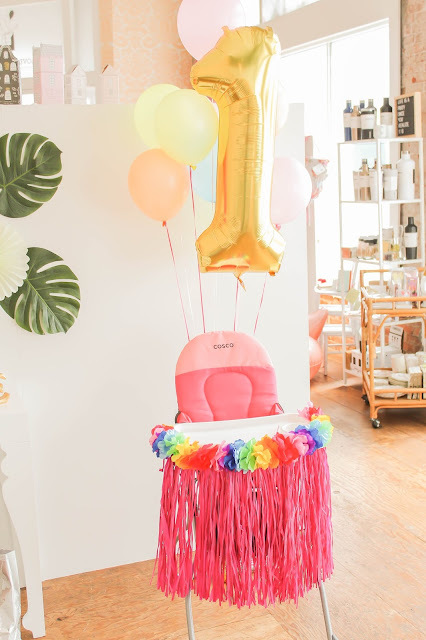 The one year old's new pink high chair was decorated with a pink hula skirt and festive balloons. The kids' table was simple but fit well with the theme. The flamingo plates have been a summer party favorite! 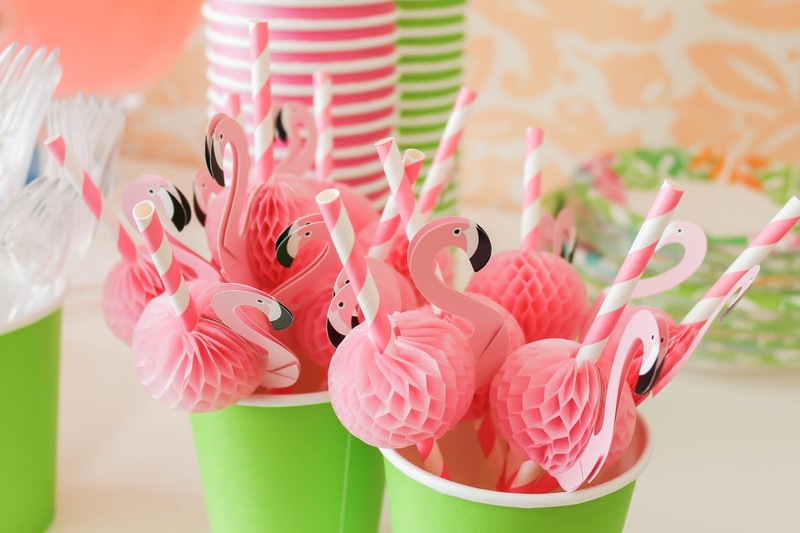 She matched them up with simple pink and green cups that were topped off with our adorable honeycomb flamingo straws. 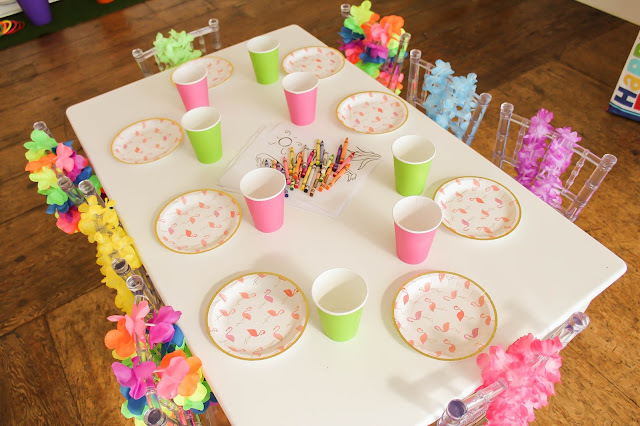 For party favors, Marcee put leis on each of the chairs. The party came together so well and Marcee did such a great job!